Flipkart the current market leader of eCommerce in India has come up with an interesting idea. Rather than an idea, it’s an effective way to satisfy the customer’s issue while buying. Buyers have been happy with the way eCommerce sites have kept the promises of quick and safe deliveries. Now, there has been issues with product returns. But, the market has matured and the issues with returns and refunds are being sorted out. While it used to take four to five days for one to receive the refund for the returned product. 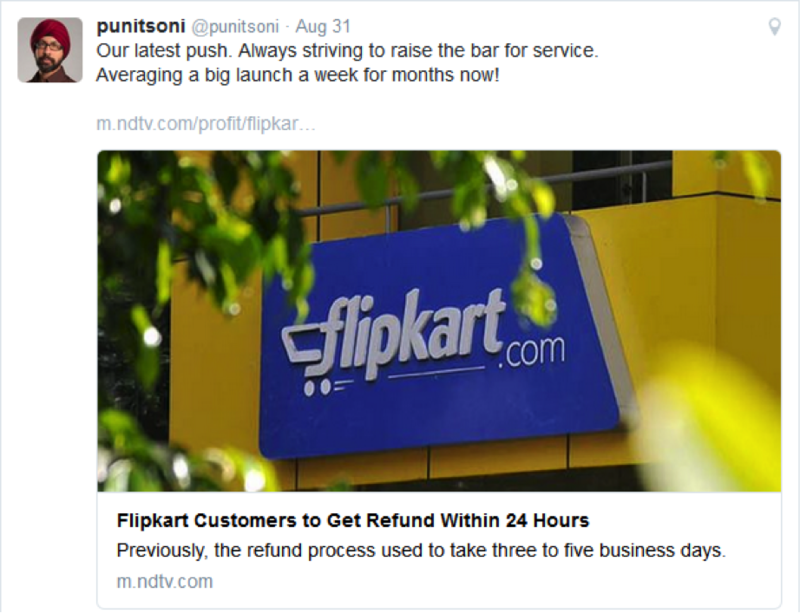 Flipkart has recently announced that it will implement a swift method to credit the refunds within 24 hours. The market giant has been keen on customer satisfaction with deliveries and hassle free return policies. This move on ‘refunds’ seems to be ahead of any other in the market and a shrewd one at that. When does Flipkart provide refund?